This is the complete and final (and gigantic) collection of all of my 5-minute comics! Stupid Dreams is 165 pages of previously out-of-print comics, each drawn in five minutes or less. It has "Passing Periods", "Absolute Power", "I'm Gonna Rip Yer Face Off #1 and #2", and an entire other minicomic worth of unpublished and obscure comics. It will take you several lifetimes to read through all the comics in this book. Published by 1984 Printing in Oakland, CA, this book is printed on 100% post-consumer waste paper and bound with animal-free glue. That's nice, right? 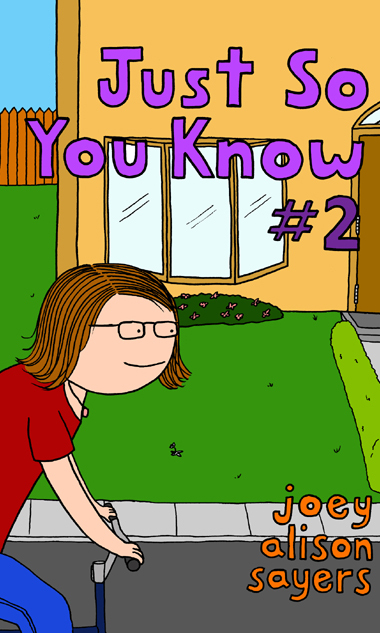 "Just So You Know #2" is my second collection of humorous stories and anecdotes about being trans. Click here to download a PDF of the enitre comic! 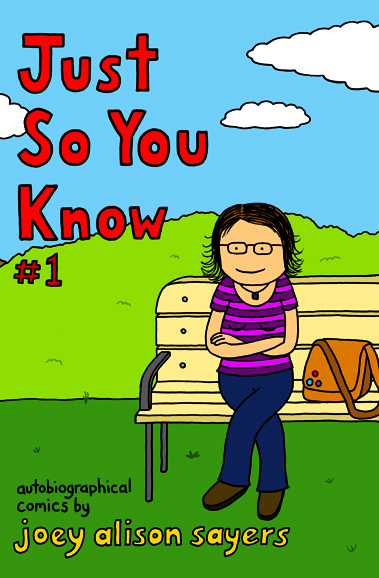 "Just So You Know #1" is a collection of autobiographical comics about my coming out as a transsexual and my transition to living my life as a woman. It chronicles some of the more interesting and funny moments in that process. Click here to download a PDF of the whole dang comic!